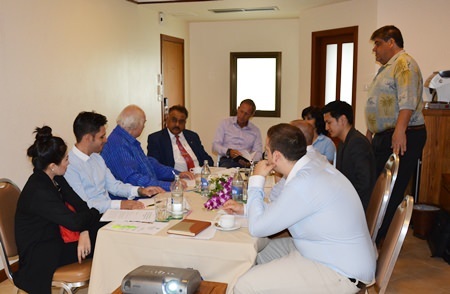 Young hotel executives honed their management skills at Skål International & Eastern Thailand’s “Ladders for Leaders” seminar in Pattaya. Scott Michael Smith, from Assumption University’s Department of Hospitality and Tourism, hosted the March 29 workshop at the Pinnacle Grand Jomtien Resort & Spa with panelists Bruce Hancock, managing director of the Banyan Resort in Hua Hin, Ferenc Fricsay, founder of executive-search firm HEAL Co., and Peter Malhotra, managing director of the Pattaya Mail Media Group. 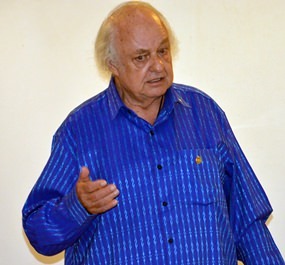 Smith lectured on “the spirit of hospitality,” instructing on how to provide good service to guests by learning their level of satisfaction and giving customers more than they expect. Course Coordinator Scott Michael Smith from the Department of Hospitality and Tourism, Assumption University, explains “The Spirit of Hospitality”. 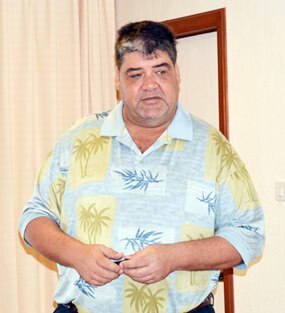 The lecturer offered six “rules” to follow, including maintaining a professional appearance and having the ability to respond to the needs of a customer and provide all necessary information regarding facilities. A second rule on “friendliness” espouses that staff and executives must respect customers at all costs, remaining enthusiastic, smiling, and maintaining eye contact. Other rules include courtesy, empathy and responsiveness, which also includes taking responsibilities for one’s actions. Finally, Smith said, the last rule calls for staffers to remain flexible and formulate creative solutions to customer problems. Fricsay, who has more than 40 years of experience in senior management positions, discussed “keys” to success in the hospitality industry. He said it takes “two to tango” in the relationship between employer and employee. One side takes and the other gives and, ideally, both sides benefit, he said. Many successful hotel industries resemble a family. Many standards are required in order to run a smooth management system, he said. Staff members must focus on teamwork and treat each other like individuals. He said training is important in developing good teamwork. Product knowledge is almost equally important, Fricsay said, including sourcing, quality, quantity, cost, when, where and how. For managers, he said retention depends on the boss’ ability to heighten job interest, lower boredom, increase morale and getting to know co-workers. In his speech on the “Power of Passion,” Hancock said passion is all about collaboration. This connects to developing a “culture” in an organization, he said. People are all human and they need to be seen as humans. He also explained the seven rules of collaboration, which were play, listen with the willingness to change, let yourself fail, say yes, play the game, and relax and have fun. These rules have been successful for many hotel industries in the past, Hancock said. The combination of the collaborative rules and working with each other to do a task and achieve shared goals is the main key to success. Students also took part in activities, including a “story-telling dice” game, which reinforced teamwork and giving a player courage to show and tell. 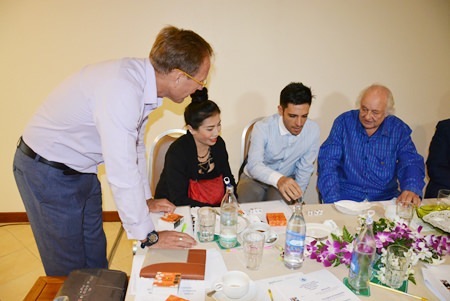 The session also introduced the attendees to Skål International and how it work. 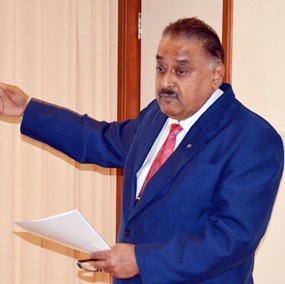 Peter Malhotra said membership is open to managers or executives directly involved in tourism management, sales and promotions in specified travel and tourism businesses. He also introduced “Young Skål,” aimed at students and young professionals directly related to the travel and tourism industries. Certificates were given out to attendees by Skål International and East Thailand. 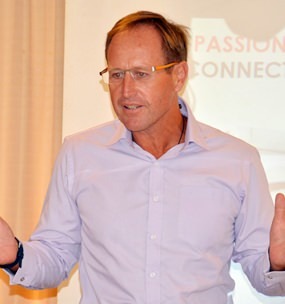 Bruce Hancock, MD of the Banyan Resort, Hua Hin introduces, “The Power of Passion”. 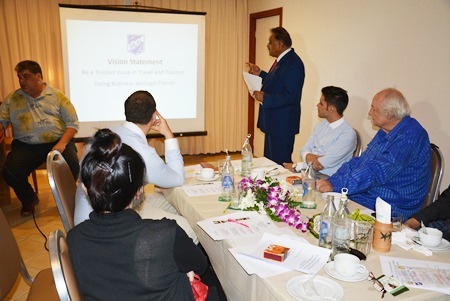 Peter Malhotra, MD of the Pattaya Mail Media Group, introduces Skål to the young executives. Bruce Hancock explains how to play with the story telling dice.